Sweets are perfect for gifting your loved ones and treating yourselves this Valentine's! 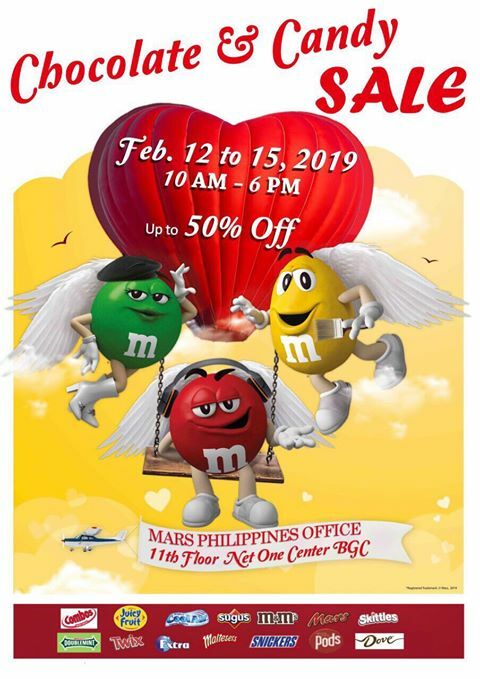 Check out the Chocolate and Candy Sale! 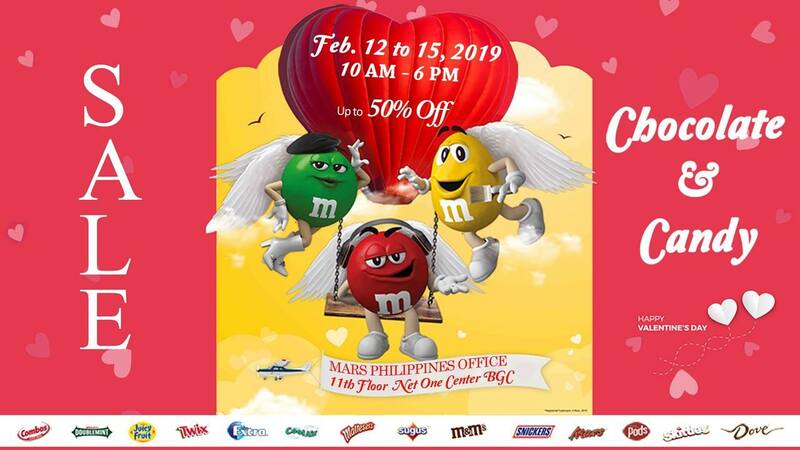 Head on over to the Wrigley Philippines Office at Net One Center to get your sweet fix until February 15, 2019! Get great discounts on your favorite Chocolate & Candy brands like M&M's, Snickers, Dove, Skittles, Juicy Fruit, Doublemint, Combos, Mars, Sugus, Twix, and more!